Local Aldridge Company JC Payne recently contacted One Walsall to find out how they could contribute to the local community in Walsall. JC Payne, who manufacture Truck & Van bodies, wanted to offer their vehicle maintenance help, free of charge to a worthy organisation. One Walsall contacted many local organisations with JC Payne’s offer, and several replied, all with worthy projects. 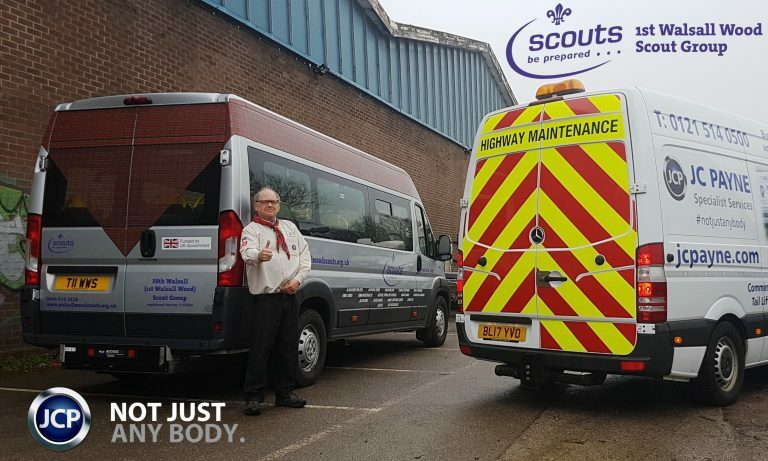 Having sifted through the responses, JC Payne opted to help the 1st Walsall Wood Scout Group, who needed a tail lift test for their minibus. “we have willing employees and professional skills that we felt could help our local community. It’s given us a real sense of satisfaction to see the difference our support can make. We hope to continue to assist local groups where we can in the future”.